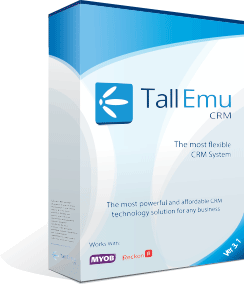 Managing Projects in Tall Emu CRM is both simple and powerful. You can create projects and the tasks involved which then can be assigned and allotted time frames. These can then be shared with selected users of the CRM and a visual representation of a project in the form of a Gantt chart can be produced. For Projects that have a standard set of steps and/or tasks to complete the project, then a template can be created for repeated use. This save time when running repeatable projects.